Amidst the raging debate over post-retirement jobs for judges of higher judiciary, a unique kind of PIL has been filed in the Supreme Court to permit apex court judges to remain in office as long as they can. According to the PIL filed by Vibhor Anand, a final year law student, this will not only enable the judiciary to tap the experience of a judge to the fullest, it will also prevent the government from trying to influence him or her by offering lucrative post-retirement job, a contentious issue of late. “This is a PIL challenging the constitutional validity of Article 124(2) with respect to the age bar set for the Judges of the Supreme Court at 65 years and Article 124 (2A) being violative of Article 14 & 16(1) and abrogates the Basic Structure of the Constitution of India because of the procedure adopted by the Union of India in Appointment of the Attorney General Of India under Article 76(1) of the Constitution of India”, said the PIL. "Declare Article 124 (2A) inserted by The Constitution (Fifteenth Amendment) Act, 1963 (which gave power to Parliament to fix the age of Supreme Court judges) as unconstitutional as it abrogates the independence of judiciary which is the Basic Structure of the Constitution," it said. "The rule resulted in many esteemed jurists since 1950 not being able to serve the nation for a much longer period of time," the PIL said. It is to be noted that Chief Justice TS Thakur recently did not agree with the view that judges must have a two-year cooling-off period before taking up any post-retirement job to insulate the judiciary from allurement from political executives. "Statutory bodies like the NHRC provide for appointment of retired or serving judges alone to head the organisation. There is no point in blaming judges for accepting these posts. No judge is keen on these post-retirement jobs as he can earn crores of rupees if he chooses to take up arbitration. Don't criticise judges, if you don't want them, then remove the posts. But when there is a system in place, you have to go by that system," he had said. The old debate revived after Chief Justice P Sathasivam who retired in April 2014 was appointed the Kerala Governor soon after and also is being considered for the post of NHRC chairman which has been lying vacant for the past seven months ever since ex-CJI KG Balakrishnan retired. The offer of the post to Justice HL Dattu who retired as CJI on December 3, 2015 also triggered a controversy. "The Supreme Court must do everything to avail the guidance, service and benefit of the vast experience that a Judge of the Supreme Court garners over the years till the time he or she is willing to give," said Anand. 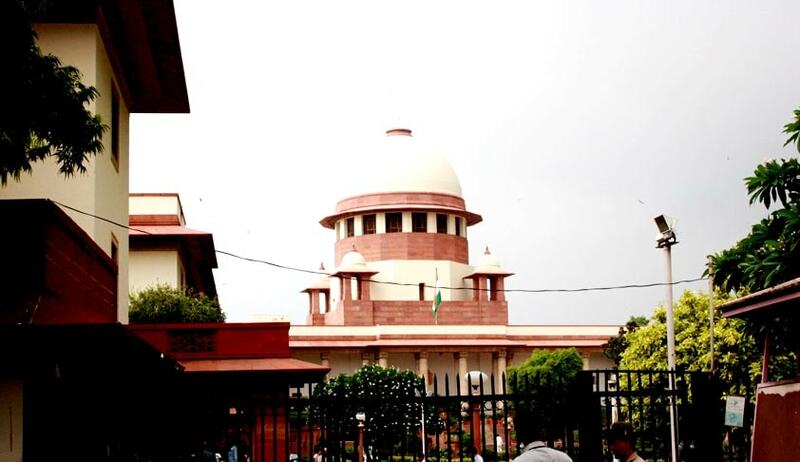 "The petitioner wishes to bring to the court's notice the bitter and harsh perception of the public at large about the SC judges who took post- retirement jobs under various statutory laws in the past," said the PIL.